Watery Wednesday: Boracay | To Be, To Be. Tutubi. 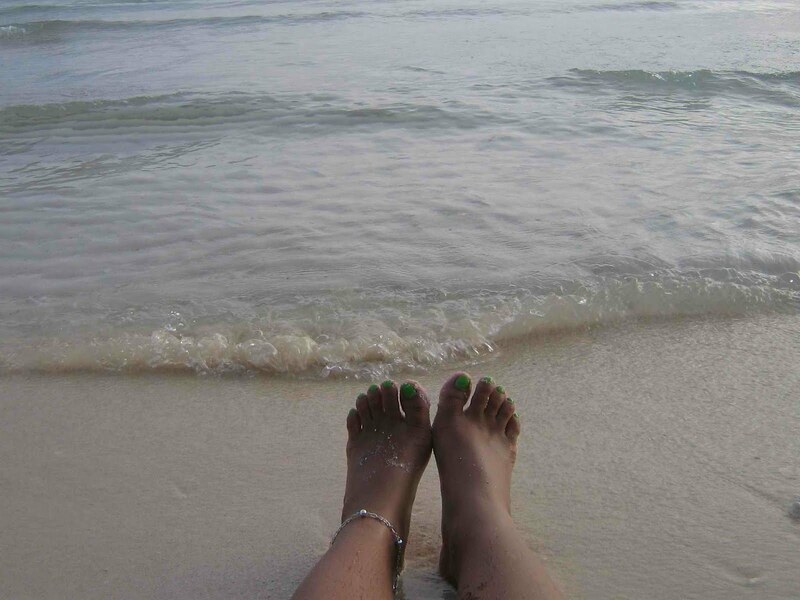 The powdery white sands of Boracay and my sister's feet. Ha ha! Ohhhhhhhhhhh, this is MY kinda day! Great photo, and the composition is fabulous. I love beach shots and feet pics too! Nice photo!I have one of me, my sis, her daughter and my daughter's feet all standing toe to toe on the sand! It's fun! That beach looks like a great place to be. Love the green nails. Ah that is a great place I wanted to be right now! Happy Wednesday! I wanna go to the beach! Cool shot & great perspective! I like your ankle bracelet too! Looks like a lovely place. I like the color of your sisters toenails! I wish, I was there!!! right now, in New Zealand, if I go to the beach, I will have my boots. Aah, so nice to be there. Wish I were!